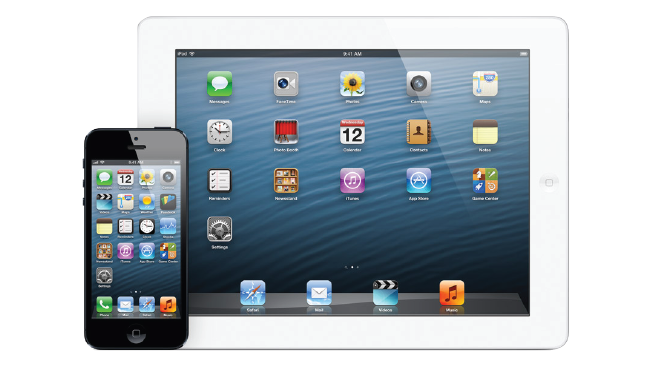 If your organization is considering creating an app for the iPhone or iPad, you can trust in the Mobile Apps Company. We don’t just do what you tell us to do; instead we collaborate with you to ensure that you fully understand what is possible and to uncover concepts that you may not have considered. Mobile users who have embraced iOS as their platform of choice tend to be a discerning group. They count down the days until the release of updated devices and are willing to stand in line for hours to be the first to acquire the latest models. The same desire to be on the cutting edge applies with the Operating System and with applications. A dated app that looks out of place with the flat design of iOS 7 probably won’t win over many new converts. iOS 7 was the most significant change to the mobile operation system since its introduction. Released in Fall 2013, the new flat design concept was embraced by over 75% of Apple Mobile users within weeks of its launch. As of February 1st, 2014, Apple now requires that all new apps and updates to legacy apps be iOS 7 compatible – both in terms of functionality as well as aesthetics. If your goal is to get your app listed in the iTunes Store, it is crucial to conform to this rule. As such, you need to work with developers who know and who embrace the changes to the Apple mobile operating system. This is why you need the Mobile Apps Company. Our developers have been developing apps for the iPhone ever since Apple released the first SDK for the operating system. We possess a mastery of the Xcode environment and we also understand the best practices that will allow your app to be approved, placed and found in the iTunes store. We’re iOS all the way. And we’re ready to build your app. Let’s Get Moving.